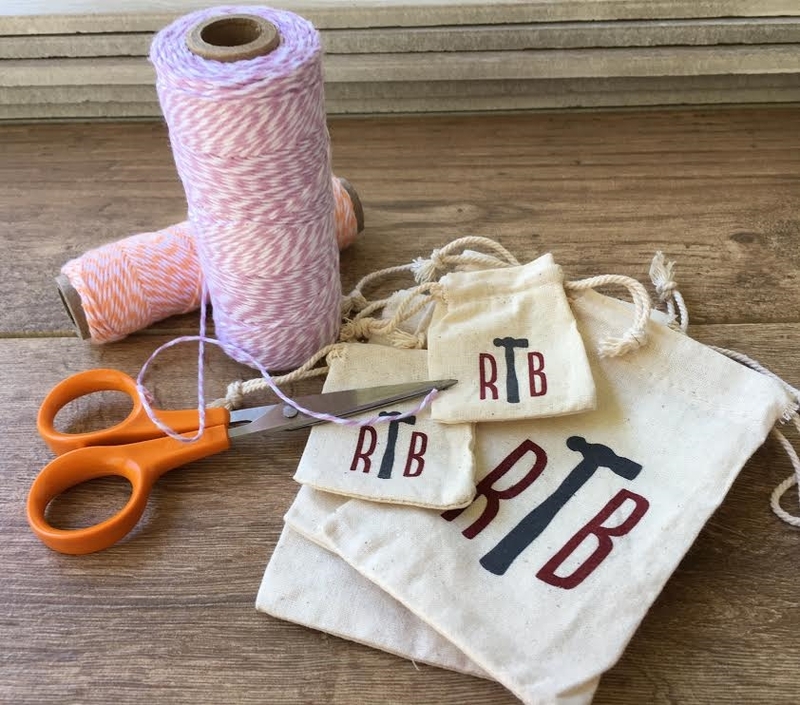 Our personalized sports key chains are some of our best sellers! 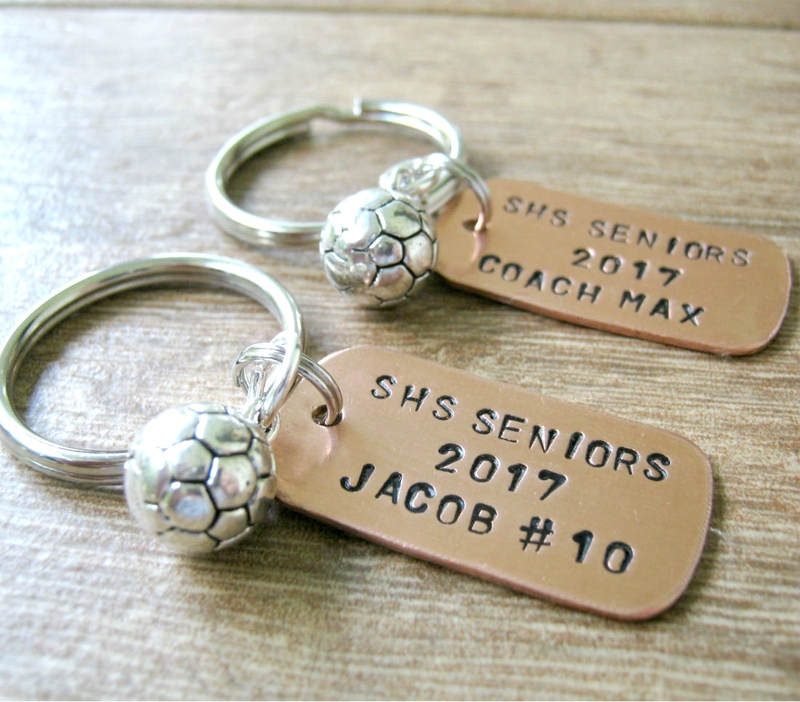 This key chain is designed for a soccer player or coach. A copper dog tag measuring 1.25" x .75" is hand stamped with the school name, year, players name and jersey number. A .75" round soccer charm is attached along with a 1" silver split ring. 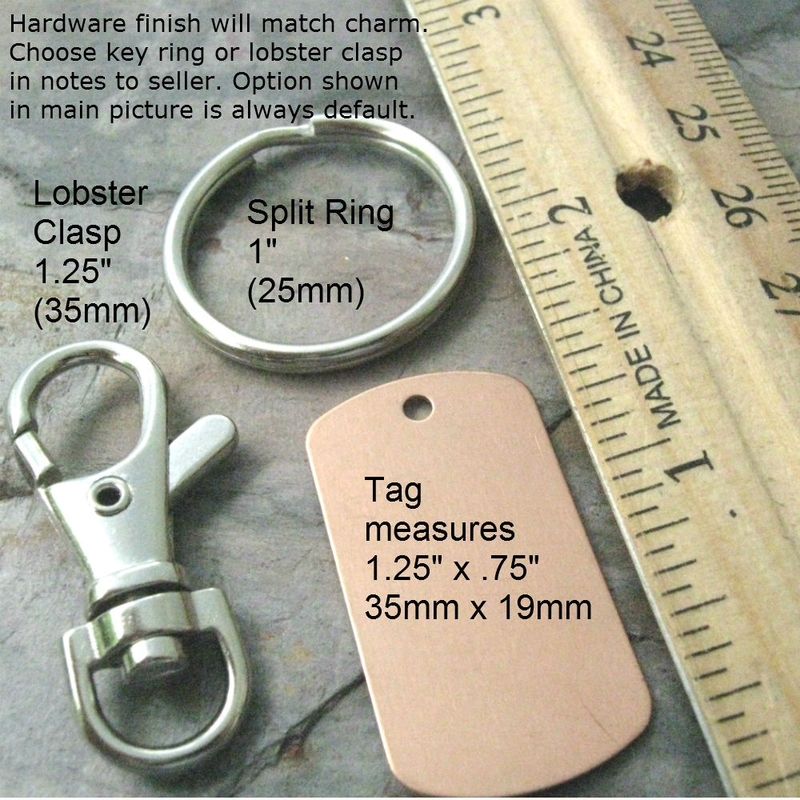 We can switch this out for a lobster clasp at your request. 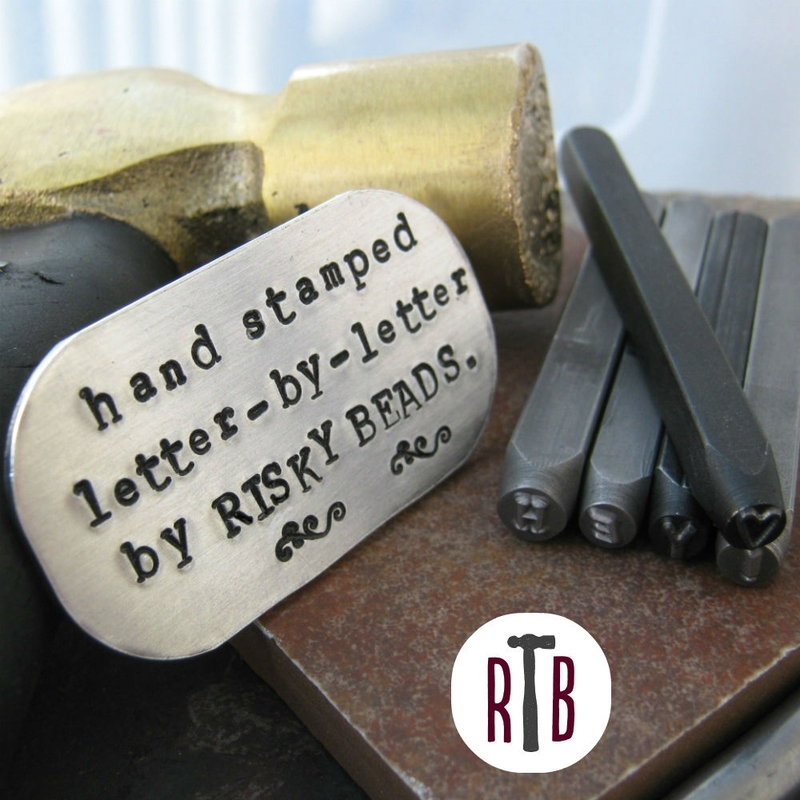 We will customize this with your details! 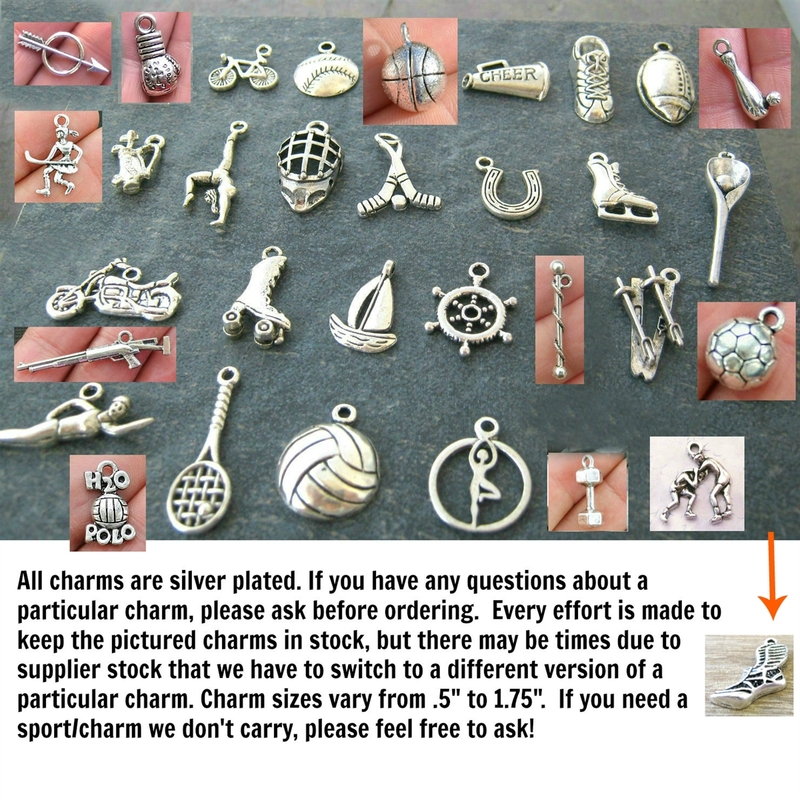 Football charm is approximately 1".